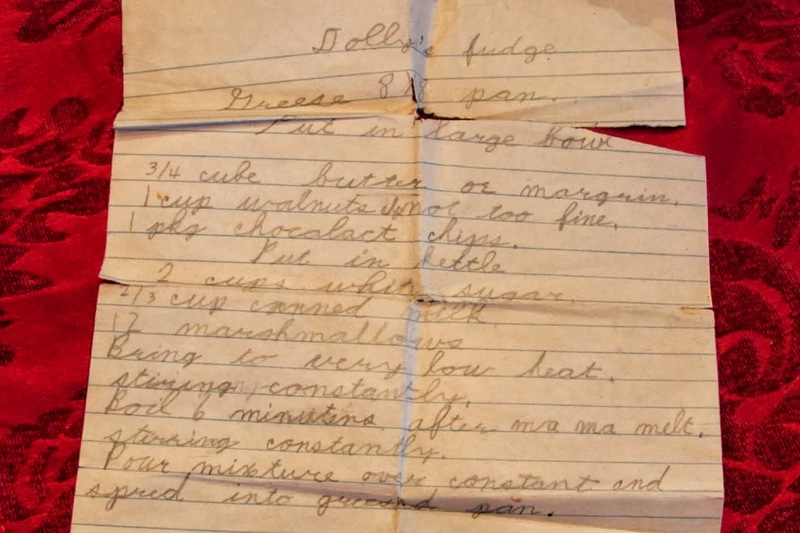 I found this recipe for my Aunt Dolly’s fudge in my mom’s old recipe box and knew it would be a sure thing. For some reason, however, it has taken me years to finally try it. 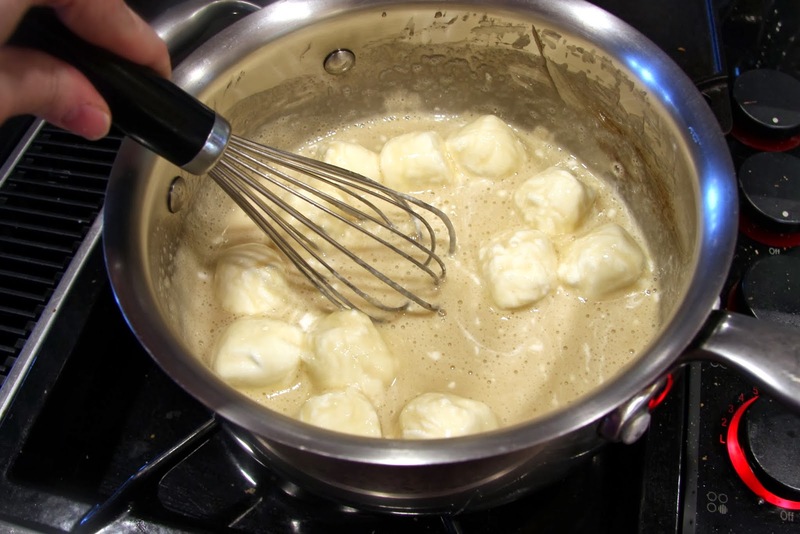 I was right, it’s excellent and super easy – no pesky candy thermometer required! Using marshmallows is a good way to ensure you won’t end up with grainy fudge due to humidity issues. I suppose it may be considered cheating by serious candy makers out there but we don’t need to prove anything to them. Besides, the words serious and candy don’t really belong together in a sentence. All that matters is that it is delicious and makes everyone very happy! My Aunt Dolly was married to my dad’s oldest brother, Hoyle, and I adored her. In my memory, she was always in her kitchen cooking, baking, pickling or canning something – or maybe doing all those things simultaneously. My mom would always tell how they could show up (unannounced in those days, thank goodness that custom didn’t continue) and she would have a pie in the oven within 10 minutes of their arrival. Maybe a slight exaggeration but I don’t think much of one. She made sure everyone felt welcome and that they were well fed! In the past, I’ve gone the marshmallow fluff route which makes perfectly good fudge. I like this better though because it uses whole marshmallows. I always have some hanging out in my pantry because, without fail, I greatly overestimate the amount we will need for our summer camping trips. This way, they have another purpose and I don’t have to scrape marshmallow fluff out of its jar. *I like to toast my pecans by baking them in a 350-degree oven for about 15 minutes. It’s not absolutely necessary but I think it improves the flavor and texture. 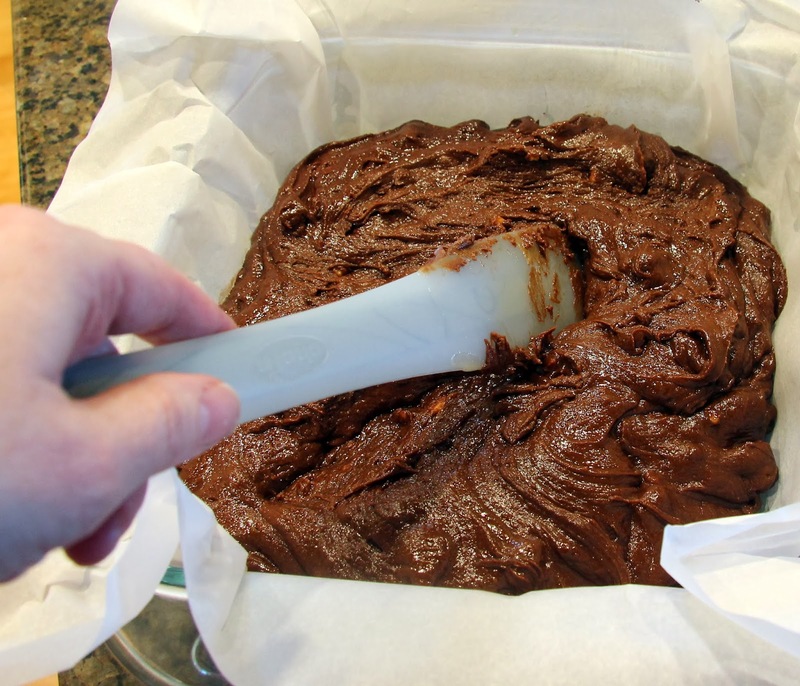 Prepare an 8×8 baking pan by lining it with parchment paper or aluminum foil, making sure the paper/foil overlaps the pan so you can lift the fudge out after it sets. I spray a little cooking spray on the pan if I’m using parchment so it sticks better. 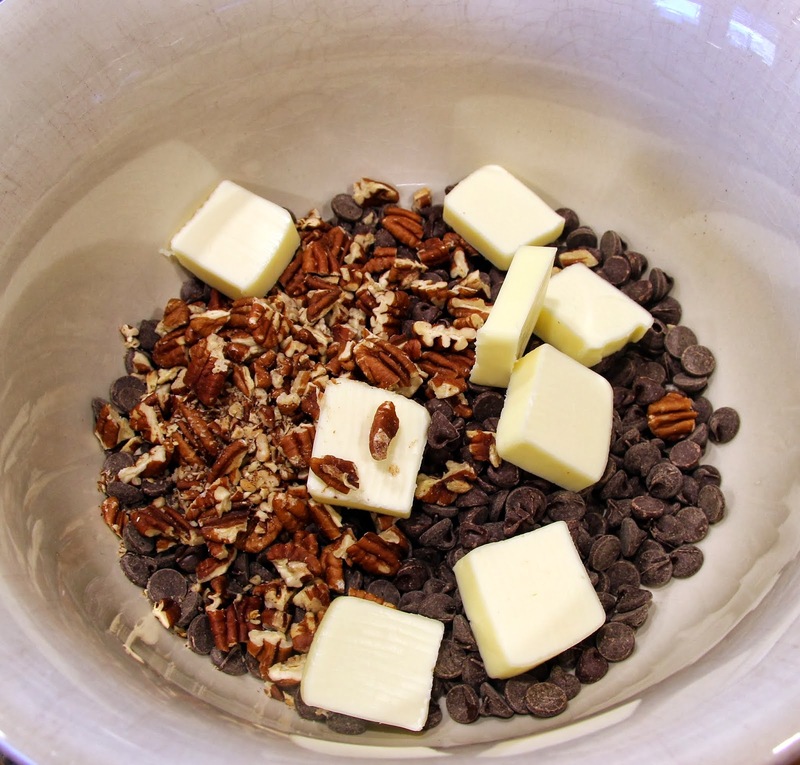 Place butter, walnuts/pecans and chocolate chips in a large, heatproof mixing bowl. 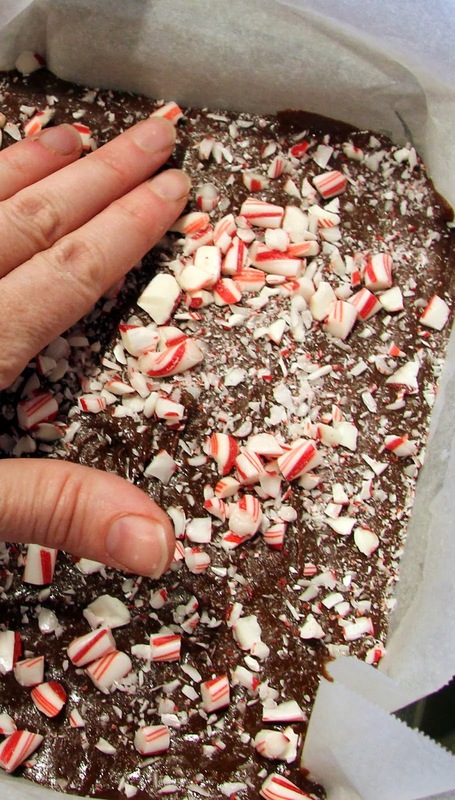 If making the peppermint variety, crush your candy canes and set aside. 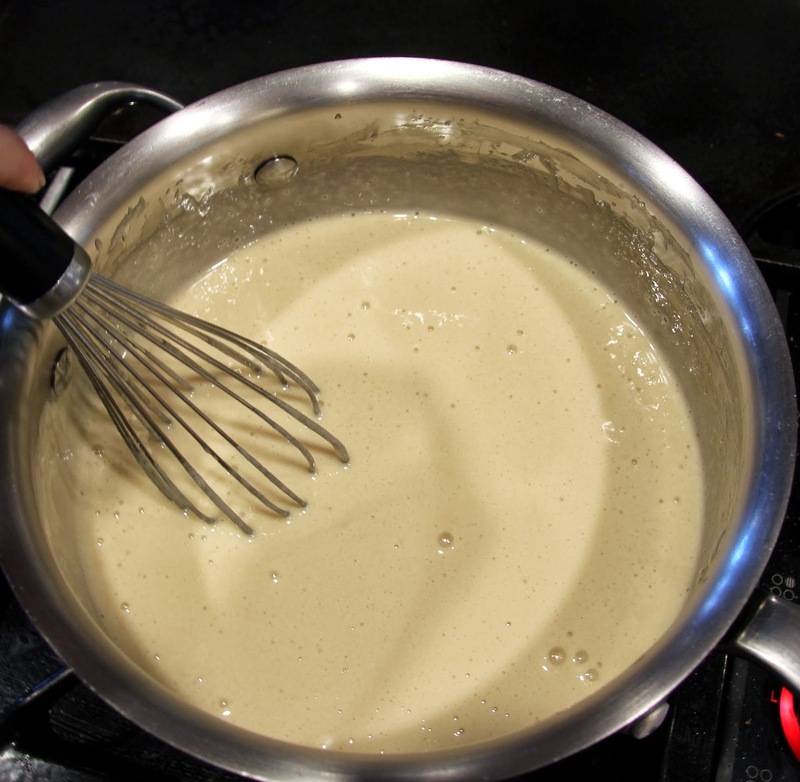 In a medium/large saucepan (make sure it has a thick, solid bottom to prevent scorching, it should feel heavy) place sugar, marshmallows and evaporated milk. 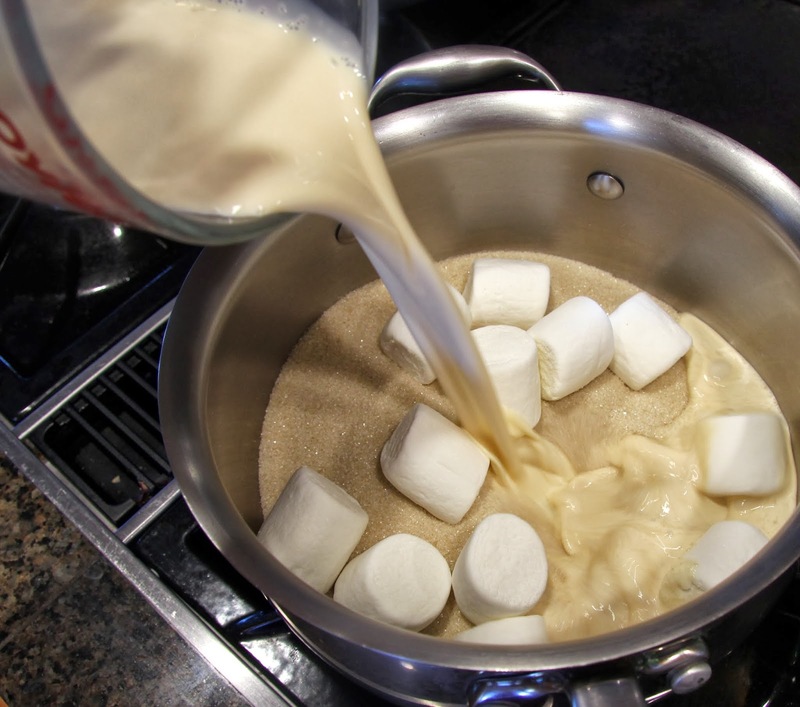 Cook on medium-low heat, stirring until the sugar has dissolved and the marshmallows have melted. Turn up the heat to medium-high and bring mixture to a boil. Continue to boil, stirring often, for six minutes. I highly suggest wearing an oven mitt on your stirring hand in case of molten sugar splatter. Turn the heat down as needed to keep a nice, even boil going. 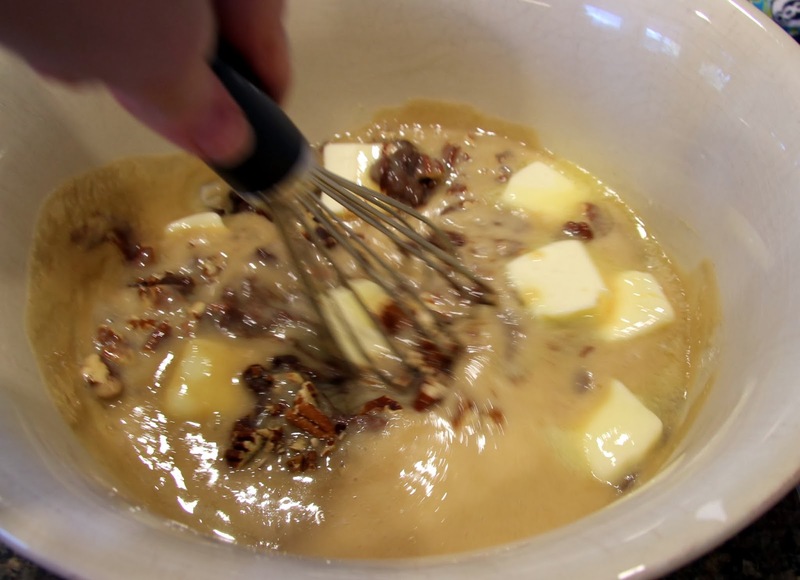 Pour hot mixture over the butter, chocolate chips and nuts and stir immediately to combine. 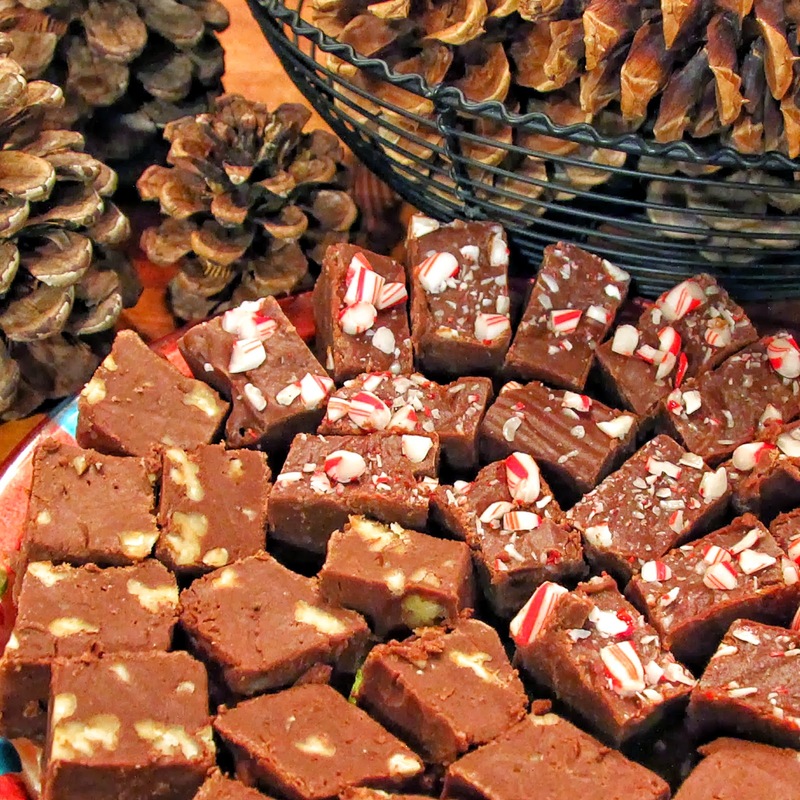 Add peppermint extract at this time if making peppermint fudge. 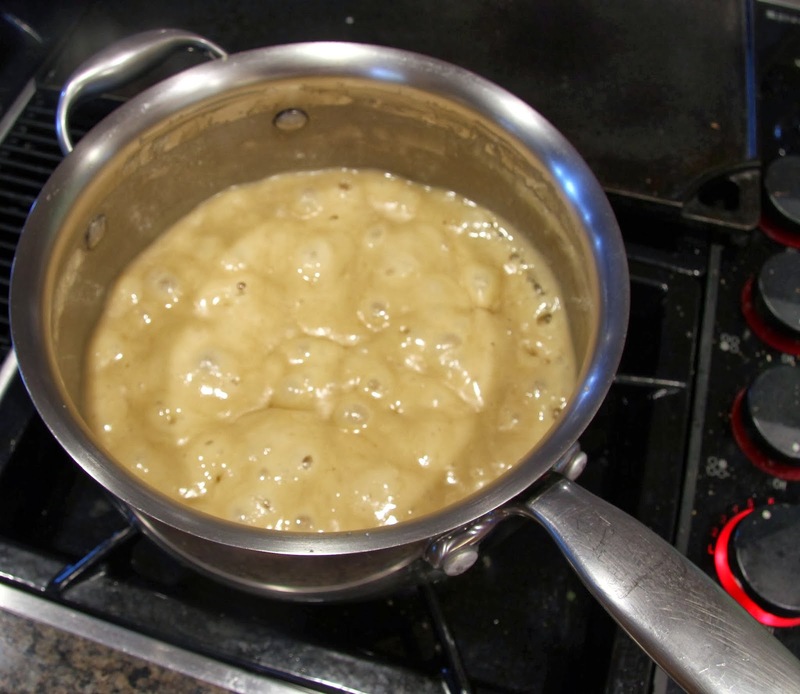 While still warm, transfer fudge to prepared pan and spread evenly. 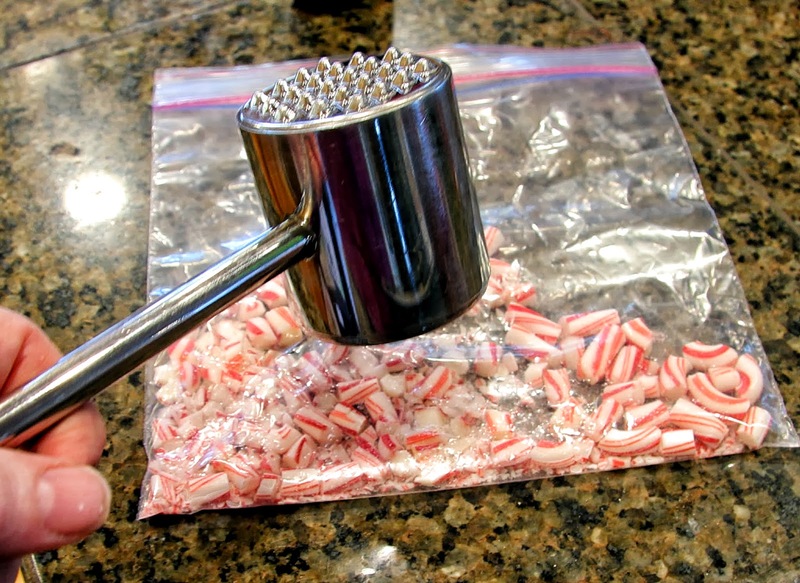 Press in crushed candy canes for peppermint fudge. 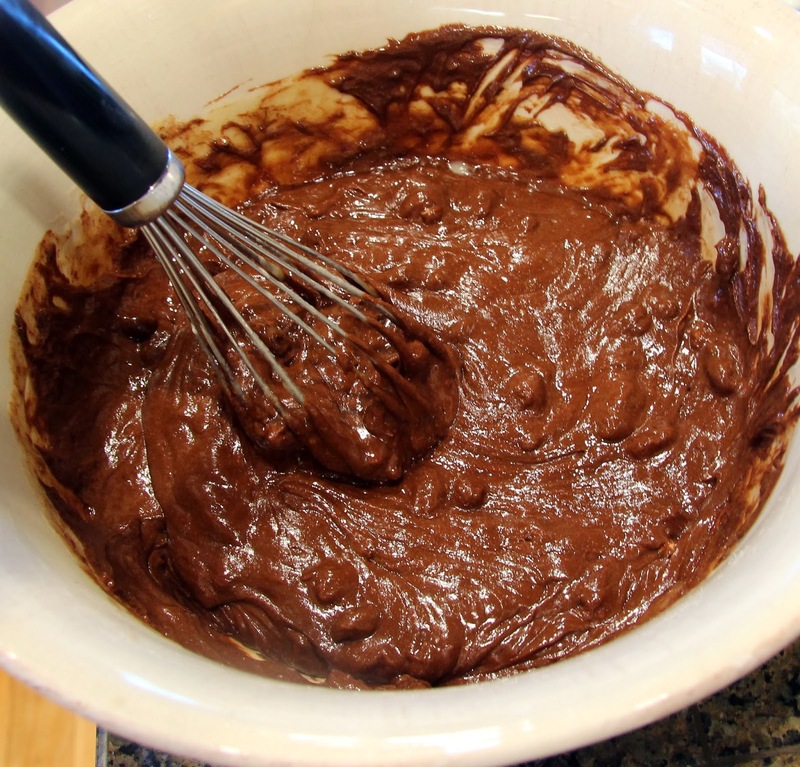 Allow the fudge to set by cooling completely at room temperature (65 – 70 degrees) for at least 2 hours. You could stick it in the fridge to speed up the process if you need to. After it has set, remove it from the pan to slice. Using a hot knife (I dip mine in hot tap water then dry it off) cut into one-inch slices, then squares. To keep it from drying out, cut only what you are serving and wrap the rest in plastic wrap to slice later. Embrace the magic of the season! This is exactly what I've been trying to avoid. As I scrolled down the post looking at those pictures, I noticed myself getting fatter and fatter by the second. Looks great and sweet, right up my alley mate.